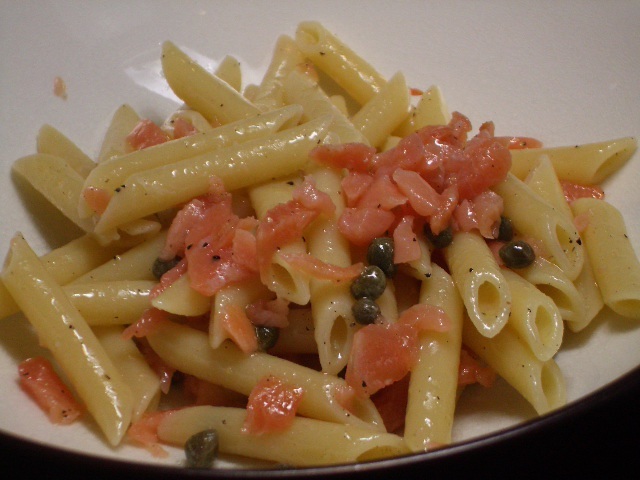 We are loving smoked salmon lately – in dips, on toast, and in pasta! Trader Joe’s has it for pretty cheap, but then again, when you only need 2 ounces, it’s pretty cheap anywhere! Toss cooked pasta with all other ingredients. Serve and enjoy!